Come and learn how to create a decorated mini album from start to finish. Birgit and Julie will walk you through all the steps to create the album’s hinge spine and cover, and the pages that go inside, complete with flips and pockets. They’ll share their tips on how to change and expand the template so you can make many more in any size. 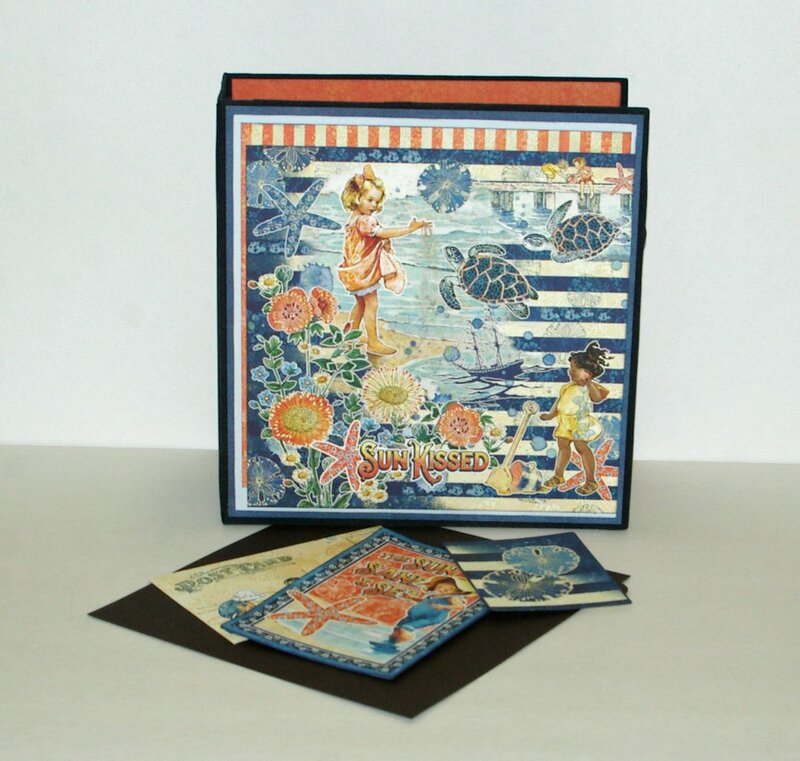 Then, they’ll help you decorate those pages using Graphic 45’s gorgeous “Sunkissed” papers and pocket cards. Perfect for your next vacation, or a gift for a traveller. Requirements: Paper trimmer, accurate 12x12" score board and scoring tools, scissors, liquid adhesive.